As featured on Blue Peter, Animal Planet, Channel 4 & more! "Please could you pass on my thanks to Hazel and your daughter, they were fantastic on Friday. The event went really well, but the highlight was your animals!! Many thanks again." "These guys are awesome, they attended an after school club for children with disabilities. They brought a lovely variety of animals, took their time with the children and knew everything you wanted to know about the animals." "I dont mind which package you bring on what date, they are all equally popular with our visitors! We get such good feedback when youre here! Best wishes." I just wanted to let you know what a great hit your exotic zoo was at	our event on 5 June. I cannot tell you how excited my niece was to finally hold a meerkat, and to see 6wk old twin baby meerkats was many a grown-ups dream come true as well. They certainly were a great hit with the ladies, but there were plenty of big blokes going all gooey eyed too! I did book you with the youngters in mind, but they had to fight their way to the front through the wall of adults !!! You were wonderful to stay so long until everyone who wanted to could cuddle Boris the Tarantula and hold the Albino Burmese Python could do so and get a memorable picture. It was lovely to see some people champion lifelong phobias, and I am sure that was down to your personality and the caring nature of your assistants. Many, many thanks for making our event such a treasured memory for so many people!" Thankyou very much for bringing your lovely reptiles to my birthday. We all had a fantastic time being able to touch and hold them. 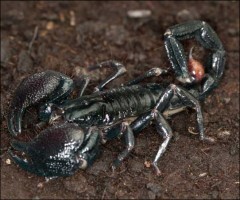 I think my favourite was the Scorpion but it is hard to choose as they were all great." "A big thank you to Mitch today for the African Experience party - it was brilliant. The children loved it and have said what an awesome party it was! I couldn't wait to see the meerkats and I wasn't disappointed. What characters they are! The burmese python was amazing and the tarantula … although not a fan of spiders was quite something! Thanks again - you were both brilliant." "Thank you very much for coming along to our féte - you and your animals were a great hit - we have some nice pictures of people holding the snake and water dragon and I loved meeting your meerkats. Whenever I passed you always had a crowd around your tent so I guess you had a good day! Thanks again for coming along and bringing such interesting creatures and allowing such close interaction with them." This page talks about ways in which we can bring the Animal Experience to you for a truly unique experience in your own home, school or other venue. All of our sessions can be fully tailor-made to your requirements -- the animals we bring, the format, the length ... the choice is yours! For inspiration though, see below for some of the standard packages that we offer. 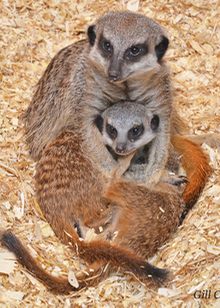 Alternatively you can enjoy an experience with the animals in their home at our Stretham zoo. A sure hit with both children and adults alike, our Reptiles and Mini-Beasts package introduces you to an amazing selection of unusual animals. The opportunity to get up close and personal and even hold many of these rare creatures is a truly once-in-a-lifetime experience. Depending on your requirements, this package can be as light-hearted or as educational as you want it to be! Tortoises and African giant millipedes. Please note: this list may vary slightly if for example animals are carrying young. Suitable for ages 5 years and up. Prices for an hour-long event start at £150 (+VAT). If snakes and lizards are not your thing, then this is the package for you! No less exotic, this package still contains many rare and exotic creatures, and as with all our other packages it's fully hands-on and can be as light-hearted or as educational as you want it to be! 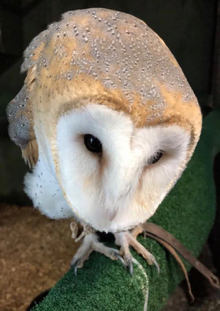 Barn Owl -- 'Ronnie' our beautiful owl will be happy to sit on your gloved hand for a wonderful photo, feel how amazingly soft her feathers are which help her fly silently. Suitable for ages 8 years and up. Prices for an hour-long event start at £180 (+VAT). If you are thinking of a longer visit than the more usual one hour party then let the zoo come to you! Whatever your event -- a private party, a fete, a fair or even a wedding -- our petting zoo is guaranteed to be a unique experience. You provide a room or marquee, and we will turn it into a zoo with a difference -- normally at a zoo, you are restricted to viewing animals in cages or through glass, but with our petting zoo your guests can get truly up close and personal with the creatures, interacting with and handling many of them. A once-in-a-lifetime experience, and something that will make your event really stand out and live long in the memory. We will recommend an appropriate selection for your function or you can choose from any animals in our Reptile & Mini-beasts and Fur & Feathers packages listed above. For more information, and the full range of creatures available see our animals. We will provide fully qualified handlers for the day, and as with all of our events the format and structure can be tailored to your requirements: we can just be there so that guests can come and go throughout the day, or we can also run informative sessions where we talk about individual animals (perhaps one talking about our reptiles and mini beasts, and one covering the mammals and birds). Prices vary based on the number of animals we bring (and therefore the number of handlers required). 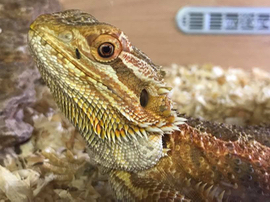 Reptiles and mini beasts from £250 (+VAT), mammals and birds from £350 (+VAT) or the complete package from £550 (+VAT) (up to 4 hours). You will need to provide a suitable room or marquee for us to be based in. During the summer we can bring our own gazebo for an additional cost. Although this package can be adapted for any audience, it has been specifically designed with schools in mind and reflects the national curriculum's emphasis on Africa. Our animals superbly demonstrate the vast and diverse range of wildlife found in Africa. As with all of our school visits we will teach the children about the animals themselves, but also about their habitat,the unique adaptations they demonstrate, and the environmental issues that threaten to impact them. And of course the children will get to hold and interact with many of the animals -- ensuring that the visit is fun as well as educational! Prices from £350 (+VAT) for a school day.